Annie and Wilf Brookfield (my Mum and Dad) on their wedding day. See note below. Photo copyright of Dave Brookfield. I think my mum ( Ne, Violet Brookfield) has a copy of this photo. I remember uncle Wilf growing beautiful dalliers in his garden. I also used to call sometimes when I collected Viv from school when she was little. 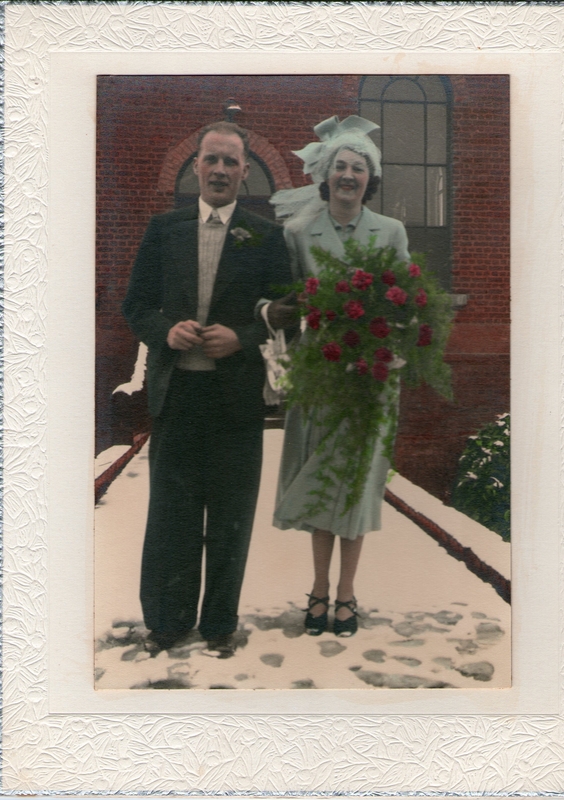 Photo of Annie and Wilf Brookfield (my Mum and Dad) on their wedding day, taken at the Chapel on Kirkcroft Lane. My Mum was a daughter of the local village policeman ‘Bobby’ Dobbs.